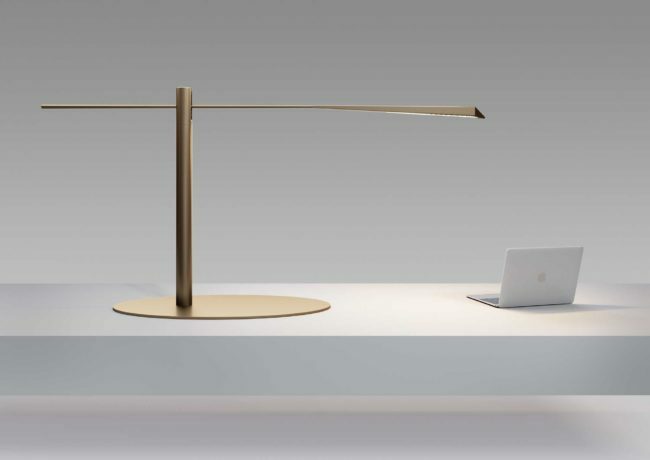 LED swing lamp with minimal design. The original shape of its faceted head defines its strong and graphic character. 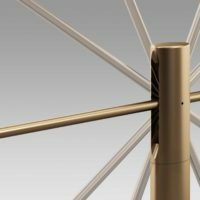 The swing arm moving through a range of 120° on the vertical axis and the head rotating up to 175° allow to adjust the light beam according to the specific requirements of any environment. The honeycomb louver controls glare and ensures the utmost visual comfort. 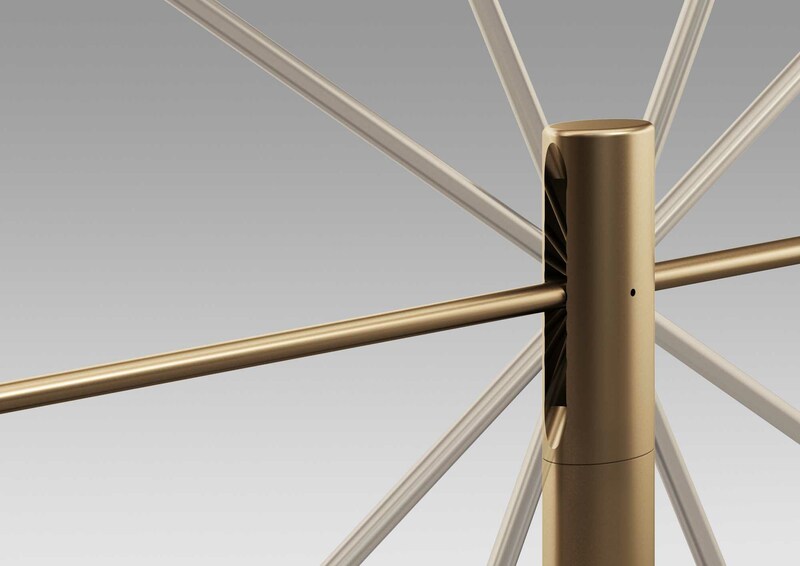 Available in two versions – floor lamp with Titanium finish (h 150 cm) and table lamp with Bronze finish (h 70 cm).